A completely self-contained property, which has been developed from part of an impressive Victorian mansion in upper Tobermory. 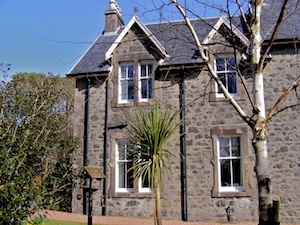 Guests have full use of the large garden which has fabulous views across the Sound of Mull. 5 Star Trip Advisor reviews.